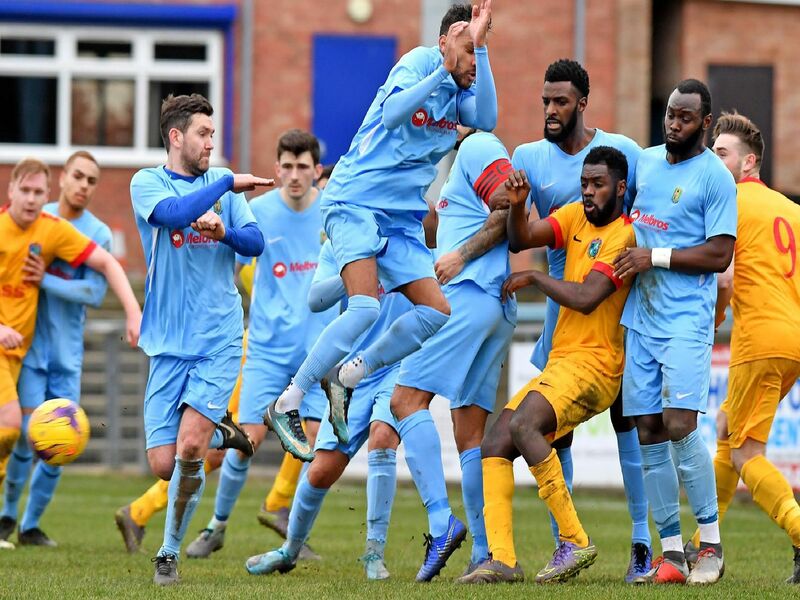 With free admission to Saturday's game at Butlin Road, a bumper crowd of 450 enjoyed Rugby Town's 4-1 victory over struggling Kirby Muxloe. It was 2-1 at half time, thanks to two goals from Dominic Perkins before the visitors replied. Lewis Rankin and Fazel Koriya added the others in the second half. The win closes the gap on leaders Daventry, after they could only draw with lowly Rothwell Corinthians, who will be Valley's hosts this weekend.